The FHD dash cam can bring you super night vision-it has great working performance in dark environments. ▲ H.264 video compression technology for saving the SD card space. ▲ HDMI out allows you to watch videos on TV. 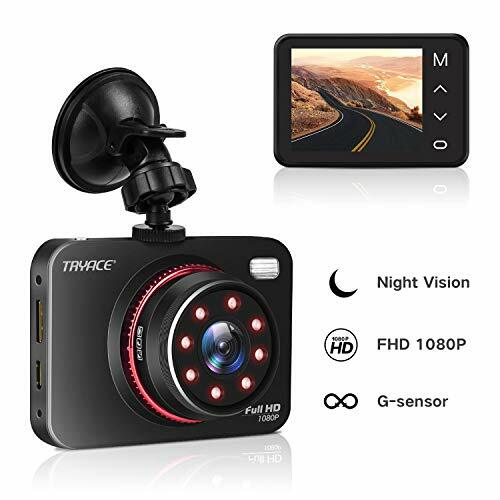 8 LED infrared night vision lights（IR mode) Automatically open at night, helps in capturing smaller details not normally seen at night while driving, providing super night vision. Under Parking mode with power off, auto turning on and recording when detecting a vibration, to keep your car's safety. Detect significant or sudden movement and automatically lock files in the case of an event triggering the sensor. 24 Hours Loop Recording, create video clips, automatically overwrite the oldest file to save the current file. With WDR function, turn it on, it will improve the color resolution, brightening the extremely dark area and dimming the extremely bright area, display a clear driving conditions.